You are currently browsing the tag archive for the ‘Commonwealth Fund’ tag. Remember the song, “We’re # 37“? It came out in 2009, the beginning of the debate about the ineffectiveness of the American healthcare system and the need for change. The video went viral, more because of the catchy tune and cute visuals, I’m afraid, than for the message. Here we are 6 years later and even with the Obamazation of health care our system is still last in the industrialized world. We still do not offer access to all of our citizens (witness the 24 states that deny access to the working poor), Our system remains very inefficient with 30% of spending wasted on inefficiency and unnecessary care. We deny people access to measure proven to extend lives and do so in a manner that punishes those of color disproportionately. Worse, we do it in a manner that costs twice as much as other industrialized countries, with most of that money coming from taxpayers. .
Why are we still last? It appears that we skipped the first step. Most people never use healthcare at all. thus they are unaware that the platform is burning. Or, even if they do, it is for an urgent problem (my throat hurts, I have a cough) and our system is really good at getting folks in and out for self limited problems in a very expensive manner ($111 to tell you “It’s a cold, live with it“). For the 20% who need our system a lot, the system has moved most of the costs to the taxpayer, so the true costs are hidden. Of course, this is after the family has bankrupted themselves but the expression “blood from a turnip” comes to mind. Turns out that part one of the Obamazation was “getting all people access” and that wasn’t even in Kotter’s book. Part two, “transform the system”, started last week. Sylvia Burwell, secretary of Health and Human Services, announced last week a series of sweeping Medicare payment changes. 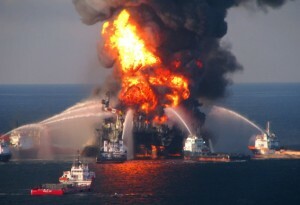 In effect, the platform has been set on fire. The changes moving 50% of the money from fee-for-service to quality by 2018 with an interim goal of 30% by 2016. What does this mean? [The adminstration] plans to tie 85 percent of all Medicare payments to outcomes by the end of 2016 — rising to 90 percent by 2018. A subset of those payments — 30 percent in 2016 and 50 percent in 2018 — will have to be part of what the government calls “alternative payment models.” These are contracts where groups of doctors and hospitals and pharmacists — a big enough network, essentially, to cover a patients’ whole spectrum of health care needs — get a lump sum of money to take care of a set number of patients. This, in addition to the 40% of commercial contracts that currently include a value component, means that over half of all dollars in health care will be contingent on quality. Is that smoke I smell? Good primary care will not contribute a whole lot to the bottom line … As our primary payor is Medicaid and if the Alabama results are anything like the North Carolina, the Adult inpatient spending is down almost 10%with the bulk being in preventable adult admissions. In other words, the job of the primary care doctor is to keep folks out of the hospital and so by the very nature we in FM will be at odds with many of our colleagues. In short, better care will reduce folks in the hospital. Our department [can] jump in front or not but I suspect it will happen either with or without us. Why is the tidal wave coming? The payment system is unsustainable and is changing FAST. I believe (and everyone at CMS that I have spoken with concurs) that Fee-For-Service medicine is in deep trouble. HealthSprings Medicare Advantage plan is distributing a good bit of physician payment in the way of “shared savings” (and recently was purchased by Cigna for almost $4 billion). Commonwealth is about to publish a report on outcomes on PCMH projects across the nation. They have found consistently improved care delivery and CMS is listening. Payment reform can be accomplished without a change in the Affordable Care Act and in the case of BC/BS by fiat. My money is on substantial payment change in Alabama Medicaid, Medicare, and BC/BS of Alabama soon. Perhaps they’ll need primary care after all to help create a focus on quality instead of having the slickest procedures? While my money is on primary care, don’t know that I’d bet on Academic Health Center transformation just yet. 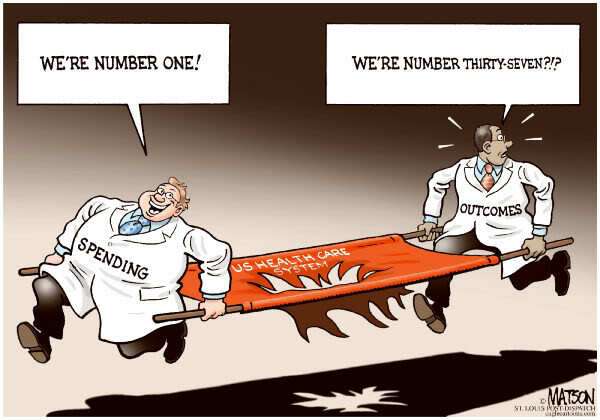 During the health care debate, much was made about the ranking of the United States among nations regarding out system’s performance. In fact, we ended up Number 37 in World Health Organization rankings, a fact that was celebrated in song. 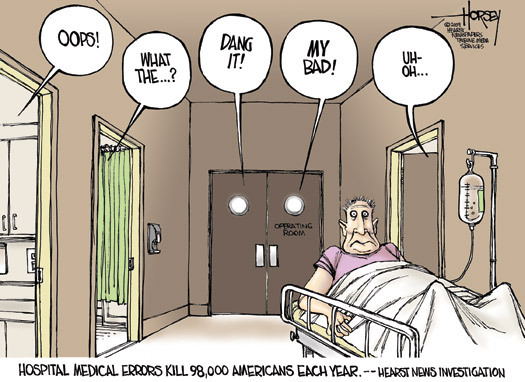 While many feel that the poor performance of our health care system is the result of an inefficient system that rewards the wrong aspects of care, others argue vociferously that the system is the best in the world but that Americans are somehow sicker than other homo sapiens in ways that are difficult to measure. An article was published in Health Affairs (subscription required but summarized here) that puts to bed the myth of “sicker” Americans. In this study the survival of folks ages 45-65 in United States was compared to survival in other countries with at least 7 million people and a GDP similar to America. This list included Australia, Austria, Belgium, Canada, France, Germany, Italy, Japan, the Netherlands, Sweden, Switzerland, and the United Kingdom. The study use 1975 as an index year and compared it to 2005. Although I’m not an expert in international comparisons, this one seemed pretty well put together. The investigators found that between 1975 and 2005, American health care spending increased at a much greater pace than the other countries and Americans were more likely to die prematurely than the citizens of the other countries. This we already knew. What is news is the magnitude of the difference and the aspects of American society that do and do not contribute to the difference. Population Diversity – As opposed to the deeply held believe that we have to spend so much on health care because of our sickly poor population, it turns out that our diversity does not contribute to our poor health standing. Smoking Status – Americans actually smoke less than the residents of the comparison nations so it turns out that smoking status does not contribute to our poor health standing. Obesity – Americans are more overweight than the residents of the other countries. America was proportionally as overweight when compared to the other countries in 1975 as it is today. If it is obesity that is the cause of our excessive health care spending, it should have increased proportionally (not logarithmically) over the past 20 years. Obesity is not the cause of our excessive health care cost. Traffic Accidents and Homicides – Much was made of the perceived excessive costs of violence in American society during the recent health care debate, in particular among the underclass. The contribution of violence has in fact been stable over the past 20 years (and is relatively low) so these are not the cause of our excessive health care costs. In summary, it isn’t that America has more poor people and poor people are sicker. It’s that our system for the 20 years prior to the passage of the Affordable Care Act became efficient at transferring money into the Medical-Industrial complex at the expense of the health of our citizens. We can only hope that the change occurs rapidly. In our (soon-to-be-paperless-but-not-soon-enough) office, we have boxes where messages from patients, abnormal labs, and such are placed by the staff for action by the provider. Because it is not possible for everyone to know where everyone else is at any given time, we have taken to placing paper over the cubby-holes notifying the staff that we will be out until a certain day. If one is going someplace fun, a picture or something else fun is placed on the message as well. As Chairman, my cubby is covered more that most and this past week I used my “Out Reforming Healthcare” message for 3 of the 5 days. He sees transformational change coming and being lead by an empowered primary care workforce. Denmark is being looked at as a model with the number of hospitals reduced by 80%, for example. On Wednesday I traveled to Montgomery to preside over the Alabama Rural Health Association board of directors meeting. As I have detailed previously, Alabama has an impending crisis regarding the healthcare workforce in rural Alabama. Although this meeting will not make a difference as a stand-alone activity, it is refreshing to get people in a room who are able to agree on a problem, potential solutions, and set in place a strategic planning activity focused in addressing the shortage. In that meeting we committed to focusing resources on FaceBook to recruit young folks interested in rural Alabama (search on FaceBook to find the page yourself), creating a strategic plan to better direct our resources, and finalizing issue briefs on the manpower crisis in rural Alabama health care prior to January 2010. We also committed to doing rather than talking. Lastly, we went to New Orleans on Thursday to recruit Tulane students into our Family Medicine Residency program. The refreshing thing about this trip (aside from the soft shell crab) was that we spent a lovely evening with students who clearly entered medicine for the “right reasons” and they were committed to Family Medicine. We had a very pleasant visit and hopefully will see them in Mobile during the interview process. In late 2007, the Commonwealth Fund published a paper entitled “Bending the Curve“. The point of the paper was that given the current trajectory, health care expenses will exceed our country’s ability to pay, leading to insolvency. 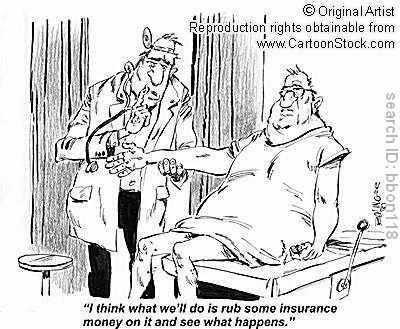 Although this has been the worry of policy makers forever (what’s a good amount of money to spend onhealth care? 5% of GDP like England? 12% of GDP like Canada? 16% of GDP like the US?) and previous policy was that health care jobs were to take the place of manufacturing jobs, increasing our GDP. It turns out that there is an optimum amount to spend if the objective is to achieve optimum health with the least cost possible. That amount seems to be less than what we spend. The report does not mention rationing at all. Many of the concepts in the report were included in HR 3200, which does not mention rationing either. What is mentioned is “medical effectiveness”, improved health information technology, and shared patient decision making. Using these three concepts, physicians can help to bend the curve down, eliminating the need for hard rationing. Improving information regarding medical effectiveness should lead to a reduction in use of expensive, unproven technology. We Americans have a fascination with technology. In fact, part of the utilization of the emergency room by patients is because of a belief that technology is necessary for effective diagnosis and treatment. Hospitals in rural Alabama hired physicians away from their practice and had them move into the Emergency Department, subsidizing thier salaries, because they knew that would help attract patients into the hospitals who would then be referred into the technology areas (CT scans, MRIs, etc). Unfortunately, the use of this technology has not translated into people doing better (they may feel better having seen their insides but it is an awfully expensive placebo). Most insurances will pay for technology because there is limited evidence to indicate when technology is good (avoiding an unnecessary surgery) or when it is bad (finding something that is likely normal but “might be something bad” causing excessive worry and unnecessary procedures). In fact, some procedures (placement of stents in certain patients) are found to be harmful after years of having been done. Evaluation of all procedures ought to be more rigorous and establishing money with which to do this will ultimately reduce costs. Improved information technology (already funding through the stimulus package) should help to reduce costs as well. Transferring information by snail mail and fax is the rule in health care rather than the exception now. Electronic transfer of information, with appropriate safeguards, has revolutionized the banking industry (so much so that the regulators unfortunately got lost in the shuffle). Making information easier to transfer will reduce waste and duplication. Lastly, encouraging shared decision making is probably the most important of the three. As a physician, I get paid for time in a piecework fashion. If I need to have an hour conversation with a patient about prognosis, different treatment options, or longterm care decisions, I have to schedule it outside of my normal patient care hours and do not get paid at the same rate I would for seeing “regular” patients. Yet, this is probably the most important conversation I will ever have with a given patient. It has been my experience that when faced with a disease that is terminal or that there are several different treatment options, what people want most is someone who knows a little about them to help guide them to a decision they will be comfortable with. All too often, we in medicine assume that the patient always want more and wish to cling to every last second of life but often it is the physicians who impart their worldview instead of listening to the patients and their families. Additionally, the primary care physician, the doctor who knows the patient the best, is often not involved in these conversations at all for a number of reasons. Changing the payment structure will go a long way towards inclusion of the primary care doctor in these discussions. It is the belief of the Commonwealth Fund as well as myself that these measures will “bend the curve” down without hard rationing. We may have a chance to find out.